Remember all the research you logged when first shopping for your mortgage? You spent hours trying to determine whether a 30-year or 15-year loan was best for you. You watched interest rates intently. You weighed the pros and cons of fixed-rate mortgages vs. adjustable-rate loans. And you did it all for one reason: You wanted to save money. Now that you've been paying off your home loan for three, five, 10 or more years, though, how much research have you done on interest rates, terms and loan types? If you're like most homeowners, probably little to none. And that could be costing you. 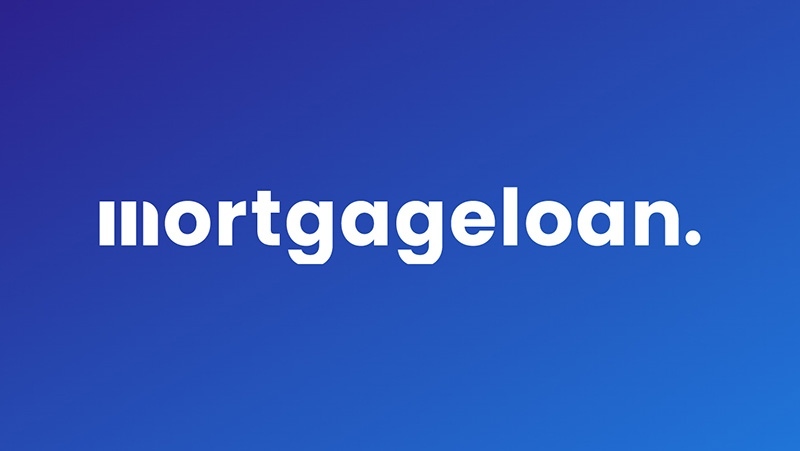 There are several smart financial moves you can make with your existing mortgage that could save you money, both in current monthly payments and in the amount of interest you'll pay on your loan over time. Whether its refinancing to a lower interest rate, paying a small amount extra each month or reducing the term of your loan, these financial moves can pay off big. You know that lowering your mortgage rate can save you money each month. But you're not sure if the savings are worth the effort of gathering the paperwork necessary to close a mortgage refinance. Mortgage interest rates, though, are so low today, that it is foolish to not at least consider a refinance. If you are paying off a 30-year fixed-rate mortgage of $175,000 at an interest rate of 5 percent, you'll pay about $939 a month, not including property taxes and homeowners insurance. Say you've paid that loan down to $150,000. If you refinance that loan to a 30-year, fixed-rate mortgage at an interest rate of 3.9 percent, you'll knock your monthly payment, again not including insurance or taxes, down to about $707. That's a savings of more than $230 a month or about $2,784 a year. Refinancing isn't free, so you'll have to determine whether your annual savings are worth the origination fees lenders will charge you. If your lender charges you $5,000 and your refinance will save you $2,784 a year, you'll recover those costs in less than two years. That's a quick payback period, and well worth the effort it takes to dig up the copies of the paystubs, bank statements and tax returns that you'll need to close a refinance. Sometimes it’s just as smart to change the term of your mortgage as it is to reduce your interest rate. Refinancing from a 30-year fixed-rate loan to a 15-year version, for example, could save you tens of thousands of dollars of interest payments over the life of your mortgage. Say you are paying off a $200,000 30-year fixed-rate loan at an interest rate of 3.9 percent. If you take the entire 30 years to pay off this loan, you'll pay about $139,600 in interest. But say that you've paid that loan down to $180,000 and you refinance this amount to a 15-year fixed-rate loan with an interest rate of 3.2 percent. If you take the entire 15 years to pay off this loan, you'll pay just under $47,000 in interest. As an added bonus? Shorter-term mortgages come with lower interest rates. Just be sure that you can handle the larger monthly payments that come with a 15-year or shorter-term loan. This strategy will pay off big if you plan on staying in your home for a long time. You'll especially save if you hold onto your mortgage for its entire term. Danny Kofke, an Atlanta-area author of A Simple Book of Financial Wisdom, took this approach. He refinanced his 30-year mortgage with an interest rate of 6 percent to a 10-year fixed-rate mortgage with an interest rate of 3 percent, and is looking forwarding to saving thousands in interest payments as he pays off this new loan. "We are paying a couple hundred dollars more each month, but will be debt-free 20 years sooner," Kofke said. Let's assume you're a fortunate worker who actually gets a raise once in a while. Chris Durheim, founder of Cottage Grove, Wisconsin-based WhysWorks and the Keep Thrifty personal-finance blog, says that you should you use the extra money you receive each month from your raise to pay down your mortgage faster. Say you get a raise that boosts your monthly paycheck by $150. Durheim recommends that you increase your monthly mortgage payment by $150, making sure that your mortgage provider knows that you want this extra payment to go toward reducing your principal balance. Depending on how big your raises are and how often they come, you can significantly reduce the time it takes you to pay off your loan. You'll also save tens of thousands of dollars in interest payments. "You can pay off a 30-year mortgage in 12 years and five months by this method, saving almost $70,000 in interest over that time," Durheim said. This big result assumes some basic numbers: Durheim is basing the above example on homeowners who paid $220,300 for their residences and have a 30-year fixed-rate mortgage of $176,240 at an interest rate of 4 percent. Durheim is also assuming that these homeowners have a household income of $56,746 and receive a yearly wage increase of 3.36 percent. But even if you can't claim these same financials, you can still reduce the amount of time it takes you to pay off your loan by pretending that you've never received a raise and by investing your extra monthly income into your mortgage payment. Say you only ever receive that one raise that boosts your monthly income by $150. If you have 25 years left on a 30-year fixed-rate mortgage of $200,000 with an interest rate of 4 percent, paying $150 more each month on your principal balance will shorten the remaining term of your mortgage by five years and two months. It will also save you $24,450 in interest. Many homeowners set up a bi-weekly mortgage payment schedule with their lenders. Instead of paying one mortgage payment a month, they pay a smaller mortgage payment once every two weeks. By doing this, homeowners make 13 payments a year instead of 12. That cuts down the amount of time it takes to pay off a mortgage by about six years. Jeff Rolke, a mortgage loan officer with Beverly, Massachusetts-based GoldCoast Mortgage Services, says that making an extra payment every year can be a smart move. But setting up a bi-weekly schedule with your mortgage provider usually isn't, he said. "A great start for homeowners who want to lower their principle amount would be to completely avoid bi-weekly payments," Rolke said. "Banks charge a set-up fee, as much as hundreds of dollars, and they charge a processing fee twice a month, adding up to thousands over the life of the loan." A better move? Homeowners who want to reduce their principle amount should divide their regular monthly payment, including their property taxes and insurance, by 12. Then they should add this amount to their regular monthly payment, making sure that their lenders know that these extra dollars are to go toward their mortgage’s principal balance. This will leave homeowners with the equivalent of 26 monthly payments without facing the extra fees that many lenders charge to set up a bi-weekly payment schedule, Rolke said.